: PraHost provides a dedicated server in Europe that is famous for high performance and stability, and it is provided in a reliable cost for clients. 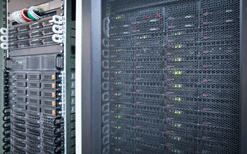 Organizations have several choices when it comes to dedicated servers in Europe. 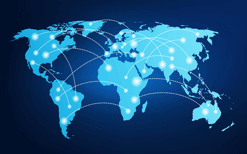 Dedicated servers are available in major hosting destination countries like Netherlands and Germany. Datacenters in Europe are equipped with the best security, power backup, and monitoring technologies. All advanced server hardware is easily available for leasing in European datacenter, which makes the continent a thriving market for dedicated servers based web hosting solutions for organizations. We deploy the most advanced hardware, proven effective datacenter operation and security best practices, and package it all together in the form of business friendly plans, delivering the best of end to end dedicated server solutions for businesses across the globe. PraHost guarantees high-quality network and equipment, allowing us to offer uptime up to 99.98%. Our dedicated servers are exclusively from the HP & Dell brands. A dedicated server offers you unmatched flexibility in terms of the customizing you need, right from the operating system to the CPU, RAM, and disk space. Whether you're looking for Windows or Linux operating system, we have you covered. With our dedicated server offerings you can deploy the platforms and software that you want, rather than adjusting to the defaults in place in a shared hosting arrangement. Our dedicated servers are hosted in a data center that complies with the highest standards of security, cooling and power supply. Your server is connected to a fully redundant, high-quality and optimally secure network which is ideal for superior performance.